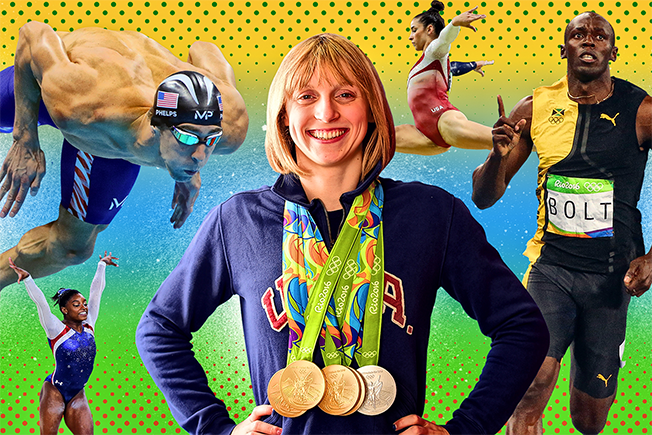 Michael Phelps, Katie Ledecky, Usain Bolt and Simone Biles all struck gold at the 2016 Summer Olympics in Rio. And while NBC's wall-to-wall coverage across 11 linear networks with 6,755 hours of programming was herculean, the prime-time ratings for the Peacock's broadcast ultimately fell short of the 2012 London Games. Through the first 16 nights of Rio 2016, including the opening ceremony, NBC averaged 25.3 million total viewers, an 18 percent drop from the 2012 average of 31.1 million. And as the second week moved on from the popular swimming and gymnastics events to track and field, wrestling, and basketball, NBC's final results looked to be further dampened. A lot was at stake: Advertisers ponied up $1.23 billion across broadcast, cable and digital—and another $30 million once the games were under way. But the Rio Olympics was up against some formidable competition, with more streaming options, social distractions and a turbulent U.S. election. "The media landscape has totally changed over the past four years," said Barry Lowenthal, president of The Media Kitchen. "Platforms like Snapchat, Facebook and streaming can attract more millennials in prime time than broadcast. The spectacle around the presidential election and cable news has made hitting ratings goals harder than expected." "It seemed most of the coverage leading up to the games was negative, about how Rio wasn't ready and how the real hope was if the games could even happen," added Britt Fero, chief strategy and media officer at Publicis Seattle. "London was the opposite. There was just a global energy going into the London Games that people wanted to be a part of. This time the conversation was about people wanting to stay away from Rio, and perhaps that translated into only really wanting to see key people this go around, not engage in the games themselves." NBC promised advertisers a household rating average "in the high teens." The London Games averaged a 17.5 rating—through 14 days, Rio is averaging 14.9." "The Olympics remains the most valuable event programming on television. We have dominated the competition every night," said NBC Sports group chairman Mark Lazarus. "As we do after every Olympics, we'll step back and look at ways we can continue to evolve our coverage to reach the largest possible audience, and to give our advertising and distribution partners a chance to maximize their spending." It's safe to say makegoods will be in order to some degree. In doing so, NBC's marketing team will lose out on valuable slots to promote NBC's fall TV shows. Never fear, said Jeff Bader, president, program planning, strategy and research for NBC Entertainment. "We're in a good position because we still have four weeks after the Olympics of [American] Ninja Warrior, America's Got Talent, Better Late Than Never and Night Shift," he told Adweek. "We're virtually all original, plus Sunday Night Football starts." The latter is indeed a shot in the arm—but will it be enough? While NBC struggled nightly to reach the TV viewership of the last Summer Olympics, more viewers than ever before streamed the games of the XXXI Olympiad. But that's because, after paying $1.23 billion for the rights to Rio, NBC opened the streaming spigot, making some 4,500 hours of live events available online. By the first Thursday (Aug. 11), NBC Olympics' livestreaming hit 1.28 billion minutes, more than the combined total of the London and Sochi Olympics (1.24 billion). And by last Monday (Aug. 15), NBC hit the 2 billion-minute mark. In an on-demand world, it's what viewers have come to expect. "People aren't willing to give up that real-time experience just because a TV network decides not to broadcast it until later," said Publicis Seattle's Fero. Streaming viewers also gave NBC's TV ratings a lift, an average of 7 percent in the first week. The streaming experience got high marks for its fast load time and crisp playback. Mobile streamers could quickly jump from springboard diving to Greco-Roman wrestling to track cycling. Desktop users were given bonus info including match orders, athlete back stories and photo galleries. "Sports has always been a 'real-time viewing' occasion," said Fero. "It's a reason for people to gather around and share in the experience that's happening in the moment."